Welcome back to Feature Friday! This week we have the honor of meeting Rhiannon. She’s taking the time to share with us about one of her most exciting trips of 2017. 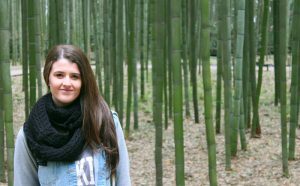 I enjoyed reading about her experience, and she shares various advice and tips for people travelling to this country! Keep reading to find out where Rhiannon went, and the different adventures she went on! Thanks for having me! My name is Rhiannon, I’m 25 years old and I have recently developed a coffee addiction. Yes, I know, I’m quite behind on that one. I am also the founder/editor/writer/absolutely everything else for the travel blog Rhiannon Travels, and absolutely love sharing my adventures, tips and tricks with readers from across the world. I travel with my partner, Russell, and we have made a great deal of amazing, lifelong memories together. 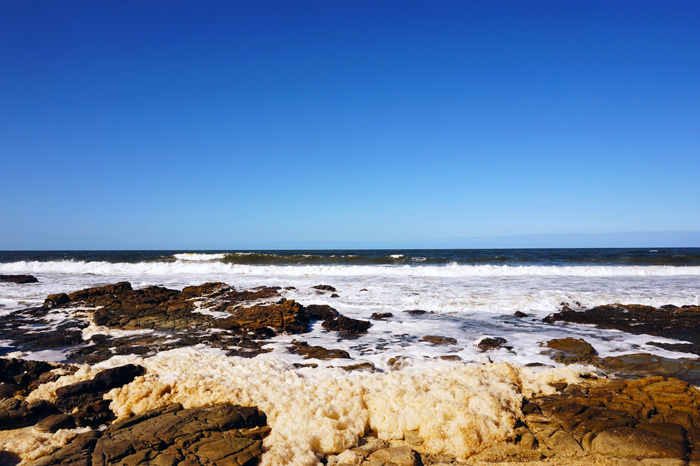 Mooloolaba Beach on the Sunshine Coast, is an example of one of Australia’s beautiful beaches, and one of the reasons I love calling Australia home! I am born and raised in Adelaide, Australia. I’ve lived here for my entire life, except for a brief 8 month period when we relocated to Alice Springs, Australia for work. I am grateful every single day to live in such a beautiful country. Although one day I hope to travel full-time, I love calling Australia home, and the sense of comfort that I feel living here. I’ll use our trip to Japan back in March of this year, as that’s far more exciting than our more recent 10 days in Queensland! We spent a month exploring multiple cities across Japan – Yokohama, Osaka, Hiroshima, Nagoya, Nagano and ending with 12 days in Tokyo! In total, we spent four weeks in Japan. We managed to visit quite a few different cities, and although at times it felt like a very fast-paced trip, I wouldn’t change it for the world! We had a 9 hour stopover each way in Singapore, and looking back, I wish we used that time to get out and do a little bit of exploring. 5. Why did you travel to Japan? Both myself and my partner became fascinated with Japan after reading about the country, watching videos and seeing glimpses of Tokyo on TV and in movies. I started to do a bit of research, aiming to learn more and work out if previous visitors to Japan enjoyed their time, and I couldn’t find one negative review! My partner loves video games, anime and everything that Japan does best. I love shopping and exploring a new and modern, yet still extremely historic country. It was a win-win! Honestly, I’m a pretty picky eater. Most of the time I went with what I knew, and ate more Western cuisine as opposed to Japanese cuisine. I did indulge in quite a bit of Ramen though, and it was delicious! Now that we’re home, I’ve become quite addicted to Sushi (a bit too late on that, aren’t I! ), so looking back, I wish I had tried more of what Japan is world famous for: the food! There’s always next time! While researching our visit to Japan, we came across a very unique, fluffy cheesecake. Everyone who previously visited Japan seemed to love it, so we had high hopes! While in Osaka, it became our mission to find this mysterious cheesecake. We walked up and down Dotonbori’s shopping street many times, before we finally spotted a huge line that had been formed outside one of the stores, and knew instantly we found it. Being spontaneous, we bought an entire cheesecake, and carefully walked it back to our hotel. With high hopes we each cut ourselves a slice, and let me just tell you, we were very disappointed. This cheesecake was like nothing I’d ever eaten before. It tasted like pure egg yolk, and to be brutally honest, it was disgusting! Maybe we got a bad batch, or maybe we’re just not used to Japan’s baked goods, but never again! The Shinkansen Bullet Train is the best and most fun way to get from city to city within Japan. Reaching speeds of up to 320 km per hour, it was a thrilling adventure! Although not so much unique within Asia, the Shinkansen Bullet Train was a novelty each time we rode it. I had never experienced anything like it, in such a fantastic way! Reaching an average speed of around 320 km per hour (200 miles per hour) and incredible, breathtaking scenery along the way, the Shinkansen is the most unique way to get from city to city within Japan! 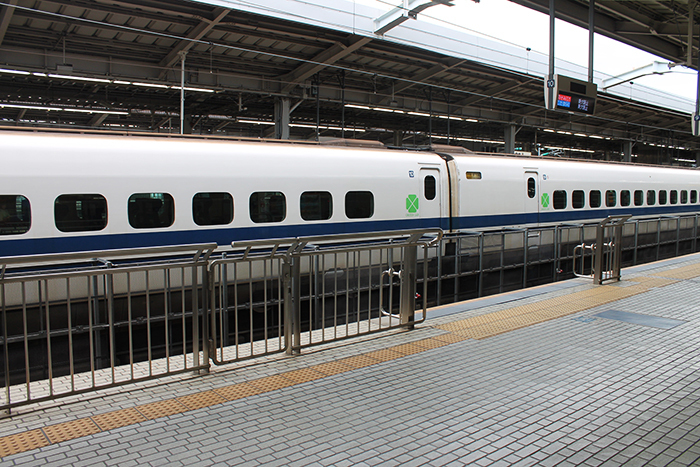 Each time we rode the Shinkansen, we had a totally different experience. Whether it was a different type of train or different scenery for the duration of our trip, it was definitely my favourite mode of transportation! It was late winter early spring when we visited Japan, so towards the end of our trip we got unlucky with a few days of non-stop rain. However, a large majority of our time spent in Japan was sunny, beautiful spring weather. Cherry Blossom trees were beginning to bloom, with pink and white flowers sprouting almost everywhere we turned. Japan in the spring is absolutely beautiful, and although it can be quite busy, especially at the beginning of April, it’s definitely worth it to see the country blossoming and beautiful petals falling. 10. Where was your favorite place to go in Japan? Why? 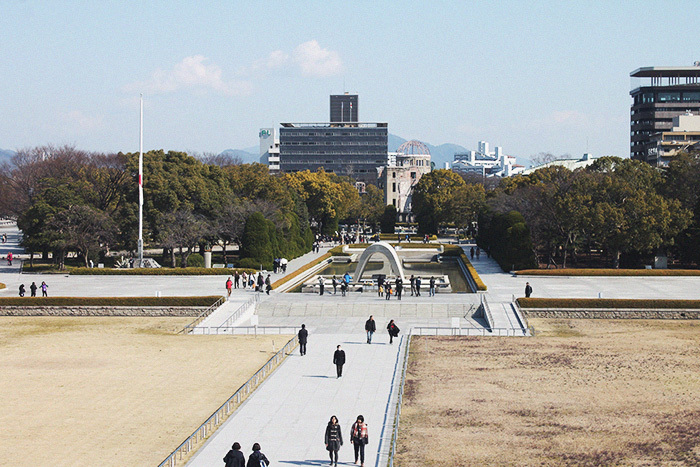 Hiroshima’s Peace Park is a beautiful place to sit, relax and remember the devastation that Hiroshima was faced with during the Atomic Bomb in 1945. My favourite place in Japan was Hiroshima. For a city with such a devastating past, the people of Hiroshima are incredibly kind and welcoming, and the city itself is absolutely beautiful. There’s an amazing peaceful and calm energy no matter where you go in Hiroshima, and the Peace Memorial and Museum are incredibly touching. I loved our stay in Hiroshima, and will definitely try to visit again the next time we are in Japan. The funniest thing that happened on our trip to Japan, was probably us catching the wrong train, heading in the total opposite direction, on the morning of our day at Universal Studios. At the time it was definitely not funny, since I’m super impatient and wanted to be at Universal Studios like now, but looking back, it’s certainly a funny story to tell. Japan’s train system is actually really easy to navigate. But somewhere amongst the excitement and impatience, we took the total wrong train and had to circle back! Moral of this story: pay attention to signs, and use Google Maps when you’re in a foreign country, kids! I learned to be patient when it comes to communicating in a language other than English. This was my first time in a non Western country, and honestly, it was pretty difficult at first! Especially the day we arrived, having to communicate in Japanese on no sleep, jet lag and hunger. But I learned quickly to have patience, understanding and remember that I’m not in Australia anymore. It’s up to me to learn the language and be respectful of the Japanese people. A lifelong dream come true – visiting Hogwarts! Okay, it’s not actually Hogwarts, but it was incredible all the same. The Wizarding World of Harry Potter in Universal Studios, Osaka, is a must visit if you’re a Harry Potter obsessed fan like I am! The best part about my trip to Japan (coming in as a close second after Hiroshima), was visiting Universal Studios in Osaka. 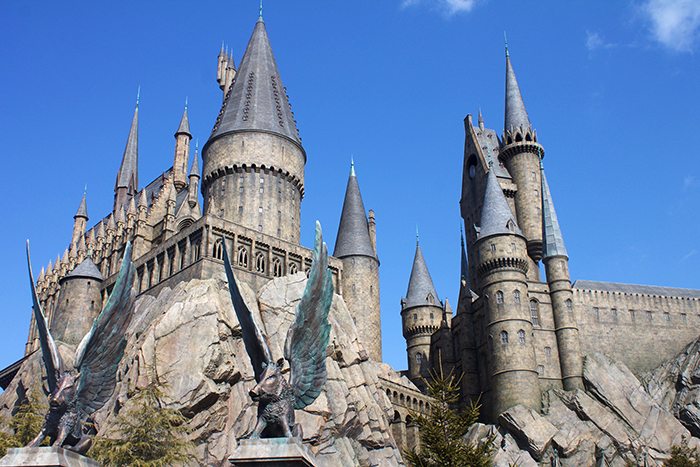 I am a huge Harry Potter fan, and as soon as I found out about Osaka’s Wizarding World of Harry Potter at Universal Studios, it went straight to the top of my bucket list. Wandering through Harry Potter World, taking in everything and walking through Hogwarts, was a childhood dream come true! The most challenging part about our trip to Japan, was definitely the language barrier. At times it was difficult trying to communicate with Japanese people, especially in cities where English isn’t as widely spoken or understood like it is in Tokyo. Gradually it became easier, and even more so with the Google Translate app. But at first, it was definitely a challenge! Another lifelong dream of mine, was experiencing snow. This is my favourite photo from our time in Japan, and I will never forget the moment I finally had this incredible experience! 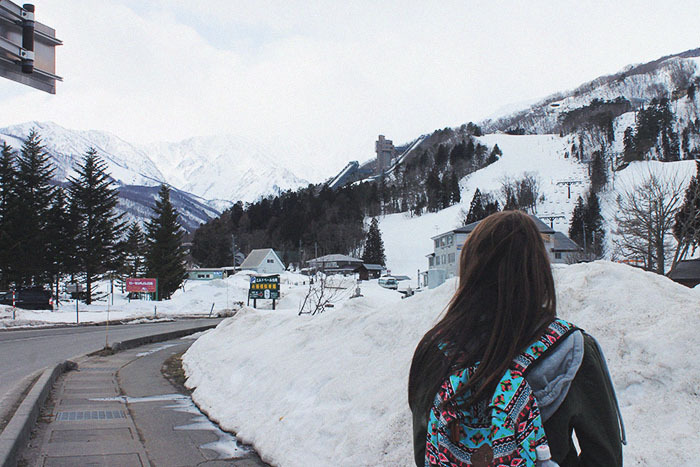 My favourite photo from our trip to Japan, was one my partner took of me at the snow in Nagano. Although I didn’t take this photo myself, it definitely brings back the most memories. Seeing snow had been my dream my entire life. Ever since I was a little girl and watched movies like Home Alone, with beautiful snow falling over New York City. We specifically set aside a few days to head up to Nagano, before arriving in Tokyo to experience snow, and it was definitely worth it! I have so many incredible photos from our trip to Japan, but this was the first that came to mind. Another dream come true, in an incredible country! 16. How does Japan compare to your home country of Australia? Were your expectations met, or did they differ completely? Before arriving in Japan, I knew there would be a huge contrast between Japan and Australia. Other than language difference, Japan is a very modernised country, especially the city of Tokyo. Australia is a very laid back, relaxed and coastal country. I was prepared for culture shock when arriving in Japan, and was definitely surprised by just how different the two countries are. That being said, I loved the differences between Japan and Australia, and was grateful for the chance to experience such an amazing country. 17. If you were to go to Japan again, what would you do differently? My partner and I are actually returning to Japan in May 2018! We plan to do quite a bit differently, including taking more day trips during our time in Tokyo. Personally, I intend to eat more of the wonderful Japanese cuisine! We both also plan to save more money before arriving in Japan, so we are able to see and do more than we did on our last visit. There’s an incredible amount of things to see and do in Japan, so the more money we have, the more we are able to experience! 18. If someone else was to go to Japan, what advice or tips would you give them? The best advice I can give anyone hoping to visit Japan, is to learn some key phrases and words before arriving. Simple things like saying thank you, please, yes, no and excuse me are crucial for smooth sailing communication! Also, if you are planning to visit multiple cities across Japan, purchase a Japan Rail Pass. This will get you on the Shinkansen Bullet Train, which is the best way to travel around the country! Our next overseas travels will be to China and back to Japan in May 2018. We have never visited China before, and will be spending time in both Beijing and Shanghai, before heading back to Tokyo for around a week. Day trips from Tokyo are on the agenda, as well as potentially going back to Osaka. Nothing is set in stone just yet, but the thought of going back to my favourite country other than Australia, is extremely exciting! This is Shibuya Crossing, and the perfect example of just how unique Tokyo is! Thousands of people cross from one side to the other, every 2 minutes. 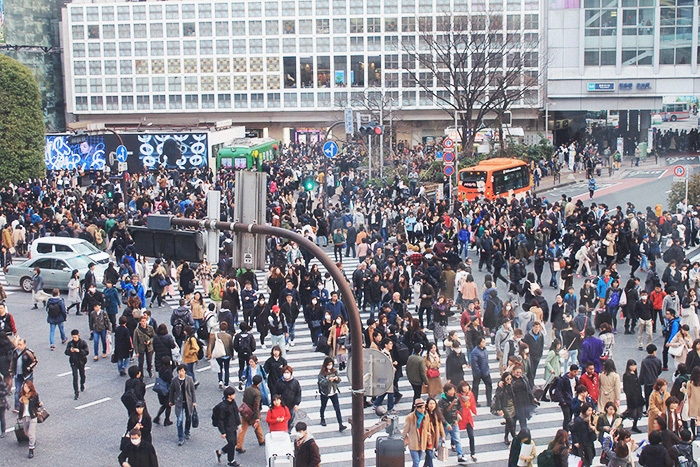 Witnessing this craziness in person, is definitely a must while visiting Tokyo! Japan is a very unique and amazing country. The people are some of the friendliest I have ever met in my life. Everything you see and do on a daily basis, has a schedule in place and runs to the minute. Tokyo is a must-visit, and will be one of the most modern Asian cities you will ever visit! We had an incredible month in Japan, and I cannot wait to go back to explore more of the country! Thank you so much Rhiannon for sharing your trip with us! I visited Japan for the first time back in November, and it’s such a beautiful country to experience. I would love to go back during the spring to see the cherry blossom trees, as the pictures as truly phenomenal! That’s amazing that you are going to return in May – I look forward to hearing about that trip as well! I can only imagine how much fun you will have, and of course all the good sushi you’ll eat [now that you know you like it 🙂 ]. When it comes to dessert, I would recommend heading over to the Asakusa District, and finding one of the little dessert shops on the right that sells bean paste pastries. Oh my gosh – so good! Truly life-changing, and it sounds like it’d be a lot better than the cheesecake you experienced! 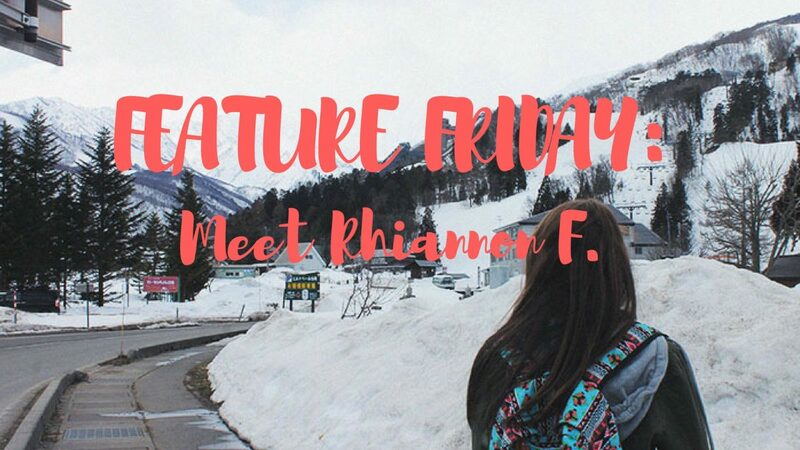 Thanks again Rhiannon for being a part of Feature Friday! It was such a pleasure! Did you enjoy what you read? Get to know more about Rhiannon! Great interview! I’m not in the spot to travel and this gave me such a vivid picture of what the country is like! I love the photos too! I had no idea there was a Universal Studios in Japan either! How awesome is that?? And yes, I highly recommend trying the sushi and ramen – so good! That was a pretty in-depth interview and I learned a lot. Biggest take-away: try the local cuisine when you’re in country. I’m glad to hear that Alexandra! Yes, I’m always for trying the local cuisine! Japan is definitely going to my travel list! Every time I traveled I ended up with lovely memories and great laughter of the not so ¨good¨ experiences. I´m glad they are going back and she´s willing to give the food a try! Thank you Cristina! I hope you both are able to go there someday – it will be so much fun! How cool! I love seeing adventures through other people! I love this idea of meeting new people via this feature friday! And how exciting!! Japan! I’m a Singaporean living in Houston and Japan & Australia are one of my favorite countries. I hope you’ll get to visit & explore Singapore next time. Previous Previous post: Feature Friday: Meet Michelle H.
Next Next post: Feature Friday: Meet Addie D.